My daughter has been attending Gaming Together for almost 3 years. As a gamer myself, I really wanted my daughter to have an interest in Dungeons & Dragons and other adventure games. Gaming Together has allowed my daughter to interact with others and bond over something that doesn't necessarily include sports. Playing D&D and other board games has increased her ability to do simple math and also has improved her ability to work out strategies in a group situation. Although gaming is fun, it has also taught her how to practice being patient, and how to be a better problem-solver by navigating the immersive world of the games they play. She really enjoys working with Anna. Anna is fair, patient, and quite informative. She really understands kids and how to manage the dynamics of the group, all while being caring. We truly feel so fortunate to be a part of such a great organization and can't say enough great things about Gaming Together. I love D&D because it is fun and we get to fight monsters and see our friends over the summer. I have been going to Gaming together for almost three years now and I really like it because we play Dungeons & Dragons and other really cool board games. 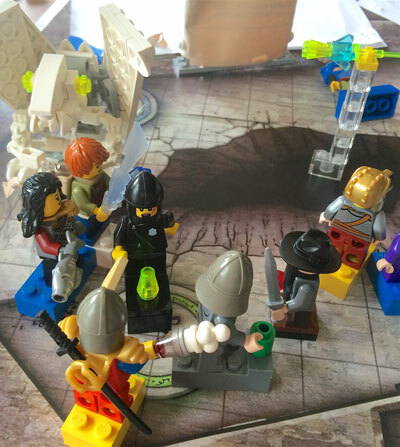 Dungeons & Dragons is this board game where you pick your character and build your mini figure out of Lego, and then with the other people the story begins. You get to choose what you want to do in the game. For example, if you were fighting a gargoyle, you could chose to run away or fight it or whatever you wanted to do. 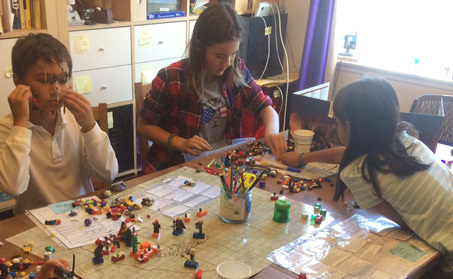 I think Dungeons & Dragons is good for other kids because it involves teamwork and what your character would do in the game. But one of the rules is no backstabbing, which I really like so you can’t kill your own friends and if you die you can be revived. That's one reason that I think Gaming together is really fun! Another reason I like going to Gaming Together is that I get a chance to play with other kids who I don't normally play with at school. It taught me to have something in common with other kids since I don't play the sports games at school.